TV Lamps by Silvestri Bros. Statuary Co. 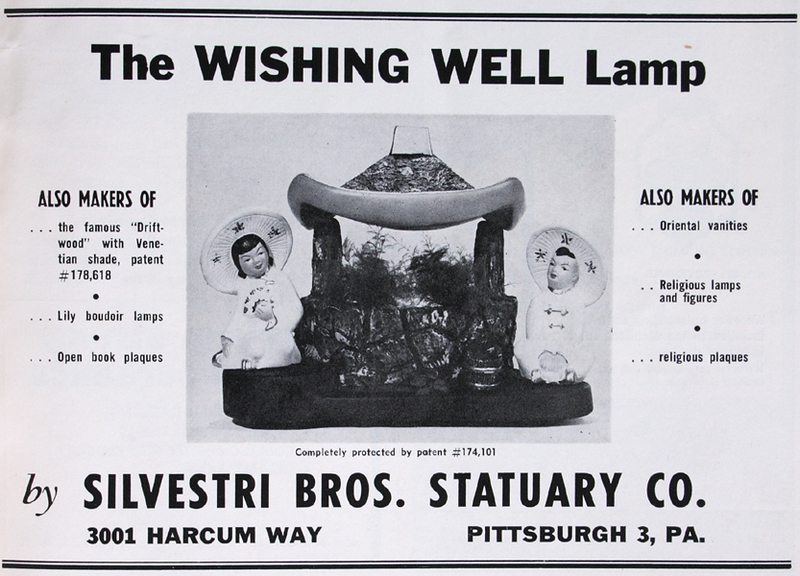 The Silvestri Bros. Statuary Co. was only one of countless manufacturers of chalkware TV lamps. The Pittsburgh, Pennsylvania company produced all sorts of giftware, but their TV lamps aren't found very often. 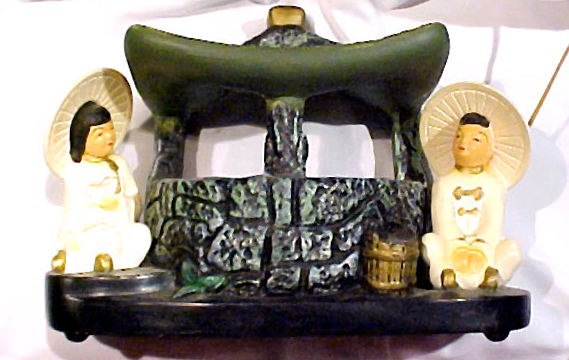 The Silvestri Bros. used a common Oriental subject for this TV lamp, but added their own twist by incorporating a wishing well. Photo courtesy of John from Bedford, Ohio. The Oriental lamp has the Silvestri Bros. marking on the bottom, as well as the patent number. This vintage advertisement shows the lamp pictured above. The ad shows the lamp with greenery in place, and it was most likely included with the lamp.